The southernmost country in Africa is the Republic of South Africa, a large land generously endowed with natural beauty, which provides plenty of checks on most travelers’ must-do-destination wish lists. South Africa’s pristine beaches, majestic mountains and huge variety of animal and plant life make it an obvious and compelling travel destination. Though visitors undoubtedly find themselves uniquely enchanted by the country’s dramatically varied landscape, abundant wildlife, pulsing cities and innumerable outdoor adventure possibilities, it is the people of South Africa that constitute this country’s singular charm. The people are dramatically diverse, and visitors to Southern Africa discover, alongside a myriad of natural attractions and inviting pursuits, a colorful cornucopia of cultures and a proud people whose warmth, resilience and refreshing mindset make for the most memorable of vacations. 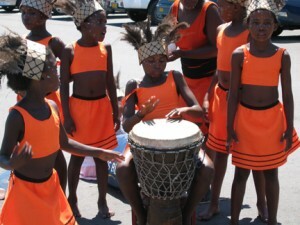 The Zulu and Xhosa are two of the most important ethnic groups in South Africa. Both have played central roles in shaping the country’s history and both are important constituents in the ethnic, political and linguistic make-up of modern-day South Africa. The Zulus – Under their chief named Shaka, the Zulus became a large and dominant tribe and subsequent to that time the king has been the leader of all the people and still is today. The name “Zulu”, meaning “Heaven”, comes from an early chief. The Xhosa are known as the “red people” because of the red-dyed clothing worn by most adults. Different subgroups wear different colors and arrangements of beads. While there is hierarchy, the structure of Xhosa society is much looser than that of the Zulus. An indication of the influence Xhosa people have on modern-day South Africa is the many high-ranking government posts held by people of Xhosa descent, and this includes the former president, Nelson Mandela. Pretoria is the administrative capital, Bloemfontein the seat of the High Court and Cape Town the seat of Parliament. President Thabo Mbeki is the head of state and currently in his second term of office. He took over the presidency from Nelson Mandela in 1999. The currency is the ZAR (South African Rand) and fluctuates daily. Please refer to the web for an accurate update on the exchange rate. LANGUAGES – South Africa has no fewer than 11 official languages, namely: English, Afrikaans, isiNdebele, isiXhosa, isiZulu, Sepedi, Sesotho, Setswana, siSwati, Tshivenda and Xitsonga. Most South Africans are multi-lingual, but English is widely spoken especially in urban centers. 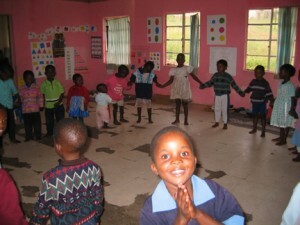 RELIGION – Close to 80 percent of South Africa’s population adheres to the Christian faith. Other major religious groups include Hindus, Muslims and Jews. A minority of South Africa’s population do not belong to any of the major religions, but regard themselves as traditionalists or of no specific religious affiliation. Freedom of worship is guaranteed by the Constitution, and official policy is one of noninterference in religious practices. GEOGRAPHY – South Africa lies just south of the tropic of Capricorn. The major influence of the climate is not the country’s latitude but its topography and the surrounding oceans. The country can be divided into three major parts: the vast interior plateau (known as the Highveld), the great escarpment at its edge (the Kalahari Basin) and a narrow coastal plain (the lowveld). Cape Town’s elevation is 17m, and Johannesburg in the north has an elevation of 1665m. South Africa is ranked as the third most biologically diverse country in the world. FLORA AND FAUNA – The world’s flora is divided into just six floral kingdoms, and South Africa is the only country in Africa with one of these kingdoms within its borders. This is the Cape Floral Kingdom in the Western Cape; albeit the smallest it is the home of the characteristic fynbos (fine bush), mainly protea, erica and heaths. Over 8,000 different species of fynbos plants have been recorded in the Cape Floral Kingdom, making it the most densely specialized plant community in the world. The Cape Peninsula alone contains over 2,250 plant species. WESTERN CAPE – Enjoys a Mediterranean climate with winter rainfall. The long summer days are sometimes perfectly still, but are often disturbed by a gusty southeast wind, and winters are cool. THE GARDEN ROUTE – The climate is equable through most of the year. There is plenty of sunshine, with only modest extremes of heat and cold. In summer, strong winds sporadically assault the coastal areas, but for the most part the days are sun-filled and balmy. KWAZULU NATAL – Enjoys a subtropical climate throughout the seasons. The air along the coastal belt is hot and humid. Inland, the heat usually stays within comfortable limits. MPUMALANGA – Is a summer rainfall region though generally hot. Thunderstorms often occur in the late afternoon and are usually of short duration. Winters are dry; the nights and early mornings are cold on the Escarpment and milder in the Lowveld. GAUTENG – JOHANNESBURG AND PRETORIA – The Highveld has one of the world’s most agreeable climates. Summer days tend to be warm and windless, and although winter days are sunny, crisp and invigorating, nights are often bitter with frost. This is a summer rainfall region, and from December to February, late afternoon downpours are common. Both Pretoria and Johannesburg enjoy an average of nine hours’ sunshine daily.